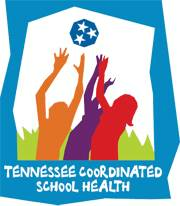 Through the strategies, programs, services and initiatives coordinated by the Office of Coordinated School Health, the Tennessee Department of Education continues to focus on and promote the undeniable connection between healthy students and schools and academic achievement. Because a healthy school is a vital part of a healthy community, a commitment to successful collaboration is required from school administrators, staff, students, parents and the community. The Office of Coordinated School Health is committed and prepared to offer assistance and services to enable schools and communities to create effective Coordinated School Health Programs based on the eight component model developed by the Centers for Disease Control and Prevention (CDC) to encourage life long healthful behaviors that contribute to productive citizens.